Parents are always allowed in back. Fun atmosphere with toys, movies, and video games. Highly trained and compassionate doctors & Staff. Dentistry for infants, children, & patients with special needs. Accept most insurance & provide no-interest payment plans. 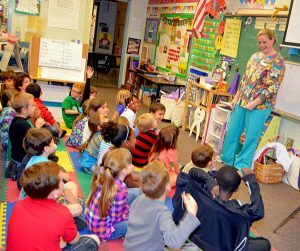 Our mission is to provide quality dentistry in a child-friendly, safe, and state-of-the-art environment with a focus on prevention and education for families. Expect smiling faces and a welcoming atmosphere from the moment your child walks through the door. Our office has a nurturing “growing healthy smiles” theme with toys and games in the waiting area. Your child can even watch TV on the ceiling monitors while receiving treatment. 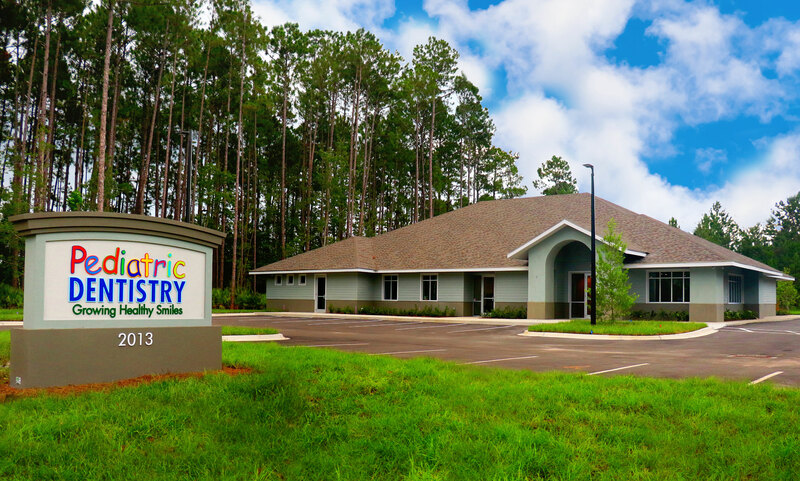 Located across the street from Fleming Island High School, our pediatric dental office is convenient for families living in Fleming Island, Eagle Harbor, Orange Park, Green Cove Springs, Middleburg, and other neighborhoods in Clay County. We also serve patients from nearby Jacksonville and St. Augustine. Dr. Kailes, Dr. Staman, , Dr. Johnston, and their friendly, caring staff are dedicated to making you and your child’s visit as enjoyable as possible. We look forward to helping your child grow a healthy smile. Our new, bigger, better office is located just a block from our previous office. Pediatric dentists are dentists just for kids!